Particpants must pre-register ~ please contact the appropriate facility stated after the date. Please check with the contact to make sure the dates, times, or location hasn't changed before showing up to spectate any of the clinics. If you have all ready contacted us about a certain date, we will let you know if there is any change for that date. 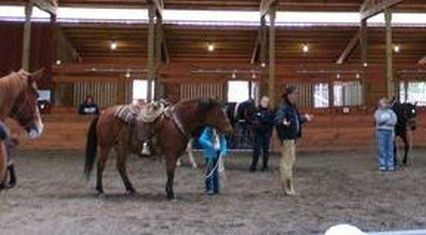 Doug can do 1 or 2 day clinics at your location or ours. $300 minimum + mileage if more than 25 miles away. Please see Clinic info page for more details, or contact us.